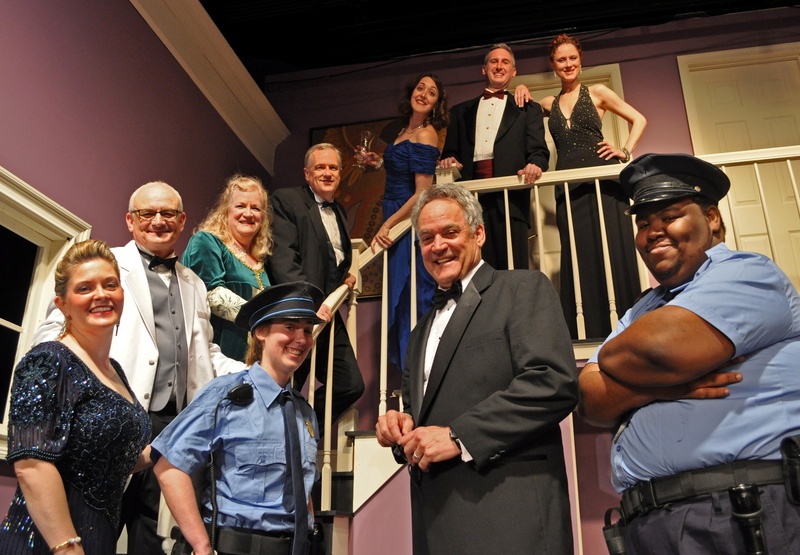 The Providence Players will celebrate 10 years of performance at the James Lee Community Center Theater with one of Neil Simon’s funniest comedies. Rumors, on stage at the James Lee Community Center Theater, 2855 Annandale RD Falls Church 22042 on May 30th for a three week run. Tickets are on sale now here. Tickets are going quickly for this Neil Simon comedy hit so order yours today to assure the best possible seating. Four couples arrive at the posh suburban residence of New York’s deputy mayor, and his wife to attend a party celebrating their tenth wedding anniversary. The couples soon discover that there are no servants, the hostess is missing and the deputy mayor has shot himself in the earlobe. Comic complications arise when, given everyone’s upper class status, they decide they need to do everything possible to conceal the evening’s events from the local police and the media. The confusion is not helped by the plethora of rumors about the hosts and most of the guests. One of Neil Simon’s best and funniest. Rumors is an adult comedy with some strong language. ← Rumors: Ten Days To Opening! Come Laugh With Us Starting May 30th with Neil Simon’s Elegant Farce!